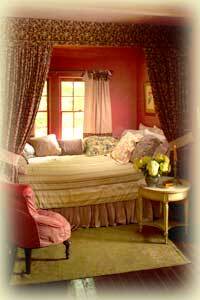 Room 1 – Double bed, private bath with old-fashioned tub. Room 3 – Double bed, private bath with tub. 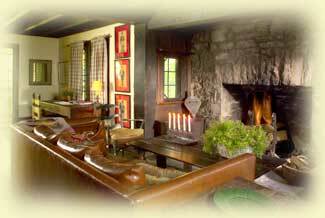 Room 5 – Double bed, modern bath with sitting room. Click on any room photo to see a larger image in a new window. Double bed, private bath with old-fashioned tub. Double bed, private bath with shower. 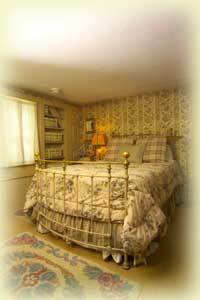 The photos on this page are representative of our romantic and charming rooms.